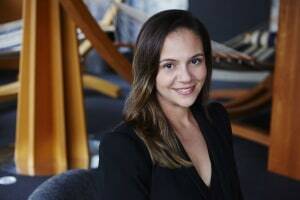 Google has named Mel Silva as managing director for Australia and New Zealand replacing Jason Pellegrino who exited the business for Domain. Silva has been with Google for more than 11 years, holding a number of senior leadership positions in Australia and APAC. She was most recently the managing director of Google APAC’s go to market strategy and operations. Prior to Google, she worked as GM of Fairfax Digital’s Direct Access and she has an extensive product and marketing background in financial services from companies such as Citibank, ING Direct and AMP. “I am thrilled to be coming home and rejoining the Google Australia and New Zealand team. There is a tremendous digital opportunity for the region, with businesses and consumers increasingly making use of tools such as AI and machine learning,” Silva says. Google Asia Pacific president Karim Temsamani says Silva has “in-depth knowledge” of the APAC region and is perfectly placed for the role. “I am delighted that Mel will be leading our business in Australia and New Zealand. She is an exceptional leader who really knows how to bring the best out of people and has a thorough understanding of our partners’ needs,” he says. She begins in her role from October.